In comparison to many forms of media, furry as a fandom as a concept is relatively young. Likewise, in the world of competitive sports, the once fledgling video game sports community is witnessing a major growth in popularity. Over the weekend of September 16th, these two world eclipsed as a furry by the name of SonicFox took the grand prize in the Injustice 2 Pro Series tournament: $120,000. You could get a very nice fursuit with that kinda scratch, or you know, college or mortgage money if you want to be responsible adult I suppose. 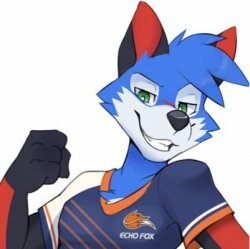 However, this isn’t a Cinderella story coming out of nowhere, SonicFox is a record holder in Guinness for his many Injustice tournament wins. His adapt and flexible style in the fighting game genre is well respected. But in case you missed the blue furry fury outfoxing his competition, you can watch the full event at Twitch. The grand final starts at the 8 hour and 48 minute mark. Here is the final ballot for the 2013 Ursa Major Awards. The voting is among the five titles in each category getting the most nominations. In several categories, there are six finalists because of ties for fifth place. In the Best Short Fiction category, only four finalists are listed because of too many ties for fifth place. Voting is now open. Due to a technical issue, nominators will need to acquire a new key. The deadline is April 30. As is not unusual, there were so many nominations for the fourth, fifth, and sixth place nominees in most categories that one more nomination could have made the difference between a title’s getting on the final ballot or not. Please nominate next year. 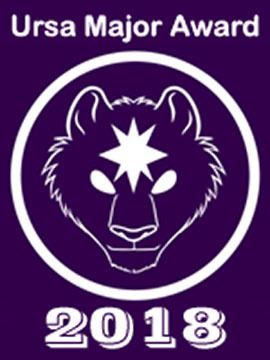 The 2013 Ursa Major Awards will be announced and presented at a ceremony at the CaliFur X convention, May 30-June 1, 2014, at the Irvine Marriott Hotel, 18000 Von Karman Avenue, Irvine, CA 92612. Nominations for the 2013 Ursa Major Awards, for the best anthropomorphic movies, novels, comic strips, games, etc., will close on February 28. Voting for the winner will begin on March 15 and will close on April 30. The awards will be presented at CaliFur X on May 30 to June 1, at the Irvine Marriott Hotel, Irvine, California. If you have not nominated yet, you have only a few more days to do so. All titles first published or released during the 2013 calendar year are eligible. The awards are given in eleven categories: Motion Picture, Dramatic Short Work or Series, Novel, Short Fiction, Other Literary Work, Graphic Novel, Comic Strip, Magazine, Published Illustration, Website, and Game. The final ballot includes the top five titles nominated in each category. To nominate (by February 28), and to vote (March 15–April 30), go to ursamajorawards.org. The 2014 Recommended Anthropomorphics List will be posted after March 1. 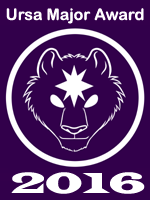 Nominations for the 2013 Ursa Major Awards are now open. The awards, voted upon in 2014, celebrate the best anthropomorphic literature and art first published during the previous calendar year. Many nominations are likely to come from the 2013 Recommended Anthropomorphic Reading List, which has been built up through prior recommendations. However, inclusion on the List is not necessary for nomination if a work is otherwise eligible. Results have been announced in Anthropomorphic Arts and Education's trademark logo competition. Helvetica Bold (Foofers), creator of the winning design (later modified), will receive a patron-level membership for Further Confusion 2014 and promotional items. Runners-up Latte Koffeefox, GreenReaper, bcokami, Floe, and I.M. Weasel get a sponsor registration and will be featured in the con-book. All 33 entries were anonymized and identified as numbers through the board's selection process. Another San Diego Comic Con, and that means it’s time once again for Animation Magazine to hold their annual Pitch Party competition. For the past 12 years the Animation folks have asked would-be show-runners to purchase a 1/6-page ad in the magazine, wherein those creators can show off their idea for a new animated series as a one-panel poster. The ideas are judged by a panel of animation industry experts (including executives from The Hub, Cartoon Network, PBS, and more), as well as the Animation staff and the magazine’s readers, all of whom picked their favorites for a show to actually bring into development. As usual, there were several furry-themed titles among the entries, including: Mob Dogs by Paul Trineer, Across the Universe by Daron Orange, Master Karate Todd & the Power Squad (web site), Night Watch Dog by Chris Gruszka (web site), Fast Sloths by Stephanie Komure and Joseph Medina (web site), Shell & Paddy by Thomas Spettel (web site), and The Tinies of Raglan Shire by Michael Kushner (web site). So who won? Organizers of Bay Area furry convention Further Confusion are looking to update its 16-year-old logo. Entries should incorporate AAE's service mark, "FurCon", and must be "clean and easy to understand", look good in color and black and white, and be PG-rated. 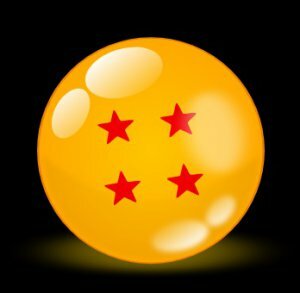 They should not use "specific critters or characters", and must be available in vector format. Multiple entries may be submitted by 12AM PT, July 4; the winner will be picked by the end of July. The selected designer will receive a FC2014 patron membership and merchandise; there will also be five runner-up sponsor prizes. All six will be featured online and in the conbook. Public response so far has not been positive, though a few artists seem interested. The submission deadline has been extended from June 14. Update (14 Jul): The selection and announcement of winners has been pushed back to the next FC staff meeting (August 17).